Horse show bows, equestrian bows, leadline bows, short stirrup bows, pony hunter bows for young riders -- the right hair bows make a good impression and appeal to judges. Hi! I'm Elaine Moore, Chief Bowdangler at Bowdangles Horse Show Bows and I understand your needs because I was once in your shoes. I'm here to help you make the best memories possible. My bows save you time! Made sturdy with quality materials, they last longer than most. My bows make YOU look like a Pro! If you are a newbie to horse shows, when you clip my bows to your daughter's braids, she'll look like an A-circuit rider. If you are an experienced Show Mom, my bows with their elegance and unique blend of colors and patterns, will enhance your daughter's confident appearance. 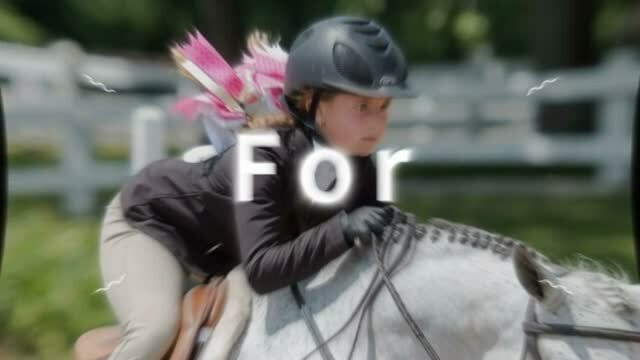 You'll feel proud when your daughter wears Bowdangles Horse Show Bows. Your daughter will feel good, too. Bowdangles Horse Show Bows make the best memories possible. We get compliments every time we show, including from the judge! These are our 7th set. My daughter has 9 sets of bows from Elaine, each one more beautiful than the next. I'm always WOWED when I open the box. The attention to detail is flawless! These bows are a work of art. My daughter is in leadline and has placed Champion in her 4 shows wearing Bowdangles Horse Show Bows. I get compliments on my daughter's bows at every show. She always wears the prettiest ones. Elaine goes above and beyond to provide beautiful hand made bows, responds quickly to convos and is willing to customize. Also lightning fast shipping. Received my order in 3 days! Very happy customer! Choose from over 500 bows. Bows in sections -- colors, patterns, collections. Here's a few quick links. Mailed same or next day depending on when order is received. Bows change daily as orders are placed and bows fly to their new young riders. For special shows or those who just plain like fancy. Check 'em out! Bows that need to be made, usually take 7 - 10 days (more during busy show or holiday seasons) before they are mailed. All 500+ divided into sections, grouped by color, patterns, collections including PONY and UNICORN bows. Bows that need to be made, usually take 7 - 10 days (more during busy show or holiday seasons) before they are mailed. Beautiful Bowdangles Horse Show Hair Bows carefully packed, wrapped with tissue, and placed in a sturdy cardboard box. While supplies last, when your order totals $100 or more, you will receive a personalized "bow box" for your special rider. Please tell me your rider(s) name(s) when you place your order. With all orders, you receive a handwritten thank you note. If the bows are a gift, I include a note saying the bows are from you. Shop Now! We just received our 3rd and 4th sets of bows and again you have exceeded our expectations. Besides being beautiful, the bows are well made with quality ribbon and a quality clip. We received them super fast! Can't wait to see my daughter wearing them in her show this Saturday! The hard part will be deciding which ones to wear!!! Imagine how happy you and your daughter will be with new Bowdangles Horse Show Bows. You worked hard to get your daughter ready to show. New jacket, new blouse, new bows! Shop now!